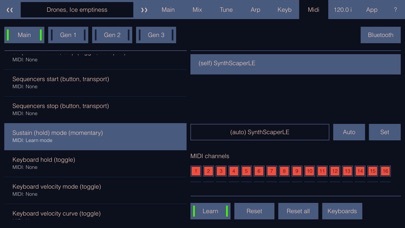 With the special lightweight version of SynthScaper LE you can easily create and modify your own multi-timbral pads and atmospheric soundscapes. 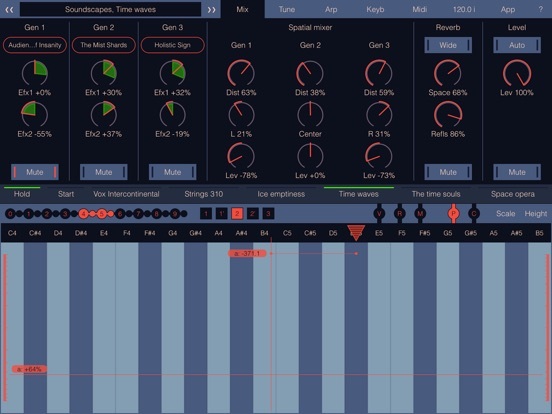 Three separate sound generators in this application give you possibility to create complex sound scenes by mixing and moving them in a common sound space using a spatial mixer. No need to construct a new sound from the beginning. 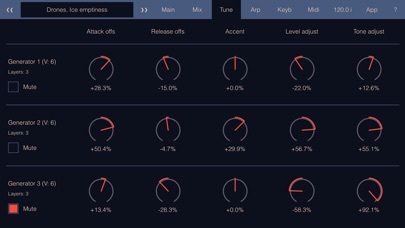 Just use the built-in library of unique and high-quality presets for sound generators. 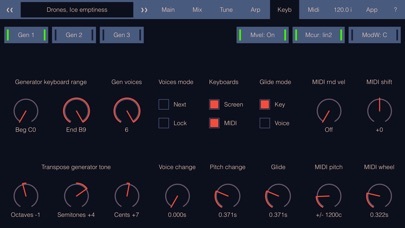 - Three sound generators each work as individual synth with its own preset. 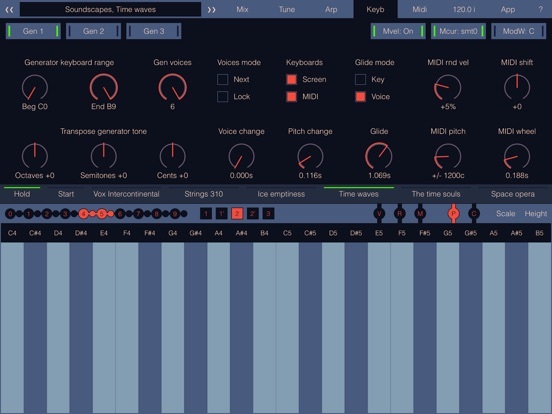 - The scene combines all generators and mixer to create complex sounds. - Spatial mixer simulates the common sound space for generators. 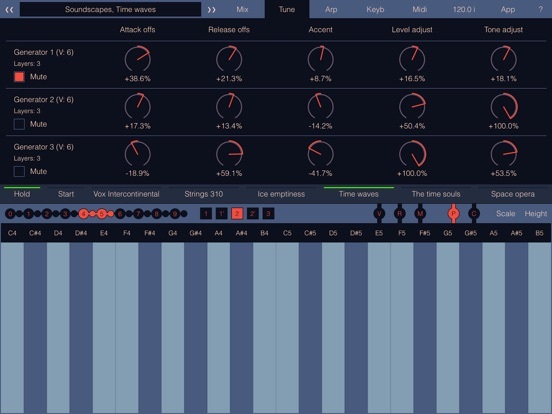 - The ability to easily tune the key parameters of sound generators. 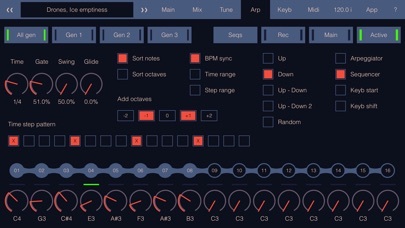 - Multifunctional sequencer / arpeggiator for each generator. - Screen keyboard designed for continuous variations with sound. 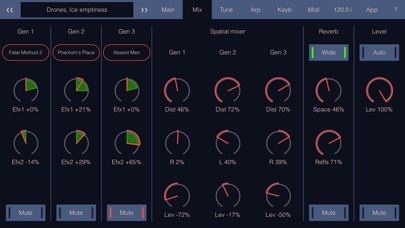 - Assign MIDI controls to parameters of generators and mixer. 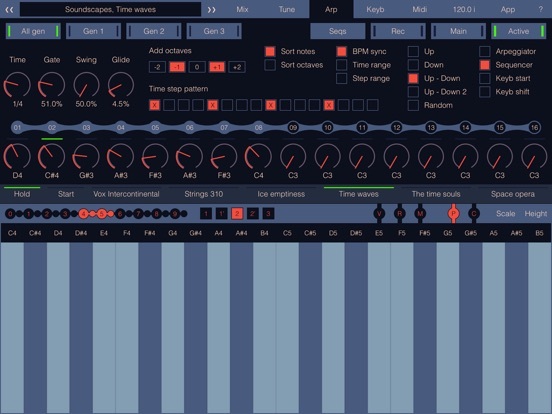 - Completely compatible with advanced version of SynthScaper. - Import scenes with samples from advanced SynthScaper. 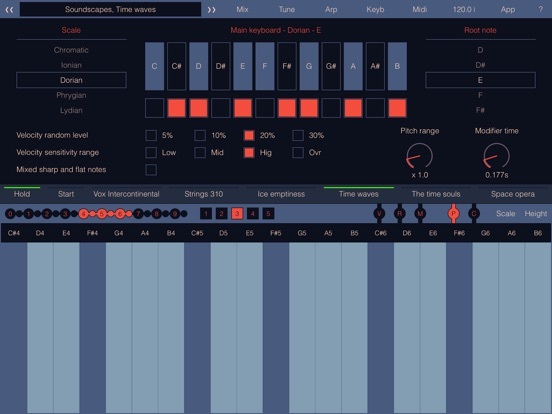 - Support Audio unit (AUv3), Inter-app audio, Audiobus and Ableton Link. 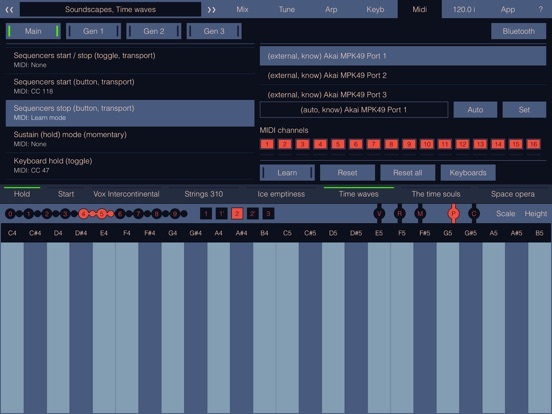 - Auto detect and assign controls of MIDI keyboards (only specific models). 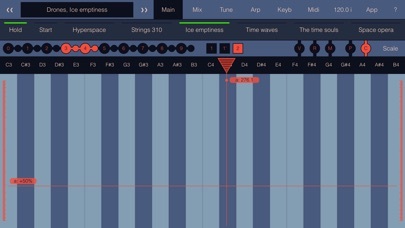 This update improves work of app when use as Audio Unit and adds new modes. SynthScaper LE continues to develop and improve. - Fixed problem with presets list in AU instances. - Added hotkeys bar when full screen keyboard. - Help panel opens on full screen. - Added mode when sequencer knobs use "Scale" range (in standalone). - Fixed problem with BPM sync when work with some AU hosts. - Improved work in "freeze" mode in DAWs (exclude sequencer). - Fixed problem with restore last selected scene when start as AU. - Improved work of arpeggiator when changing keys. - Added several new scenes and presets.